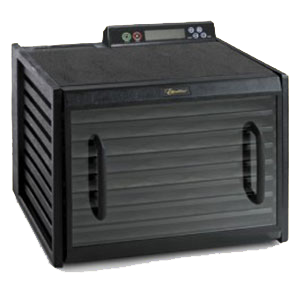 The Excalibur dehydrator is one of the top dehydrator brands utilized in home kitchens worldwide for raw vegan food preparation. 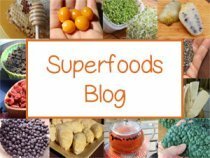 In fact, these are the original dehydrators employed by those who enjoy low temperature processed foods and were initially designed to satisfy this expanding community of health seekers over two decades ago. These are deluxe dehydrating appliances that offer the best design for ease, efficiency and temperature control when making a variety of raw meals, desserts and snacks. 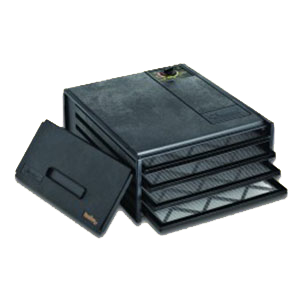 Unlike stackable models, they have trays that are easily accessible by removing the front panel. They are not only equip for the standard dehydrated foods, but also provide many other options for creating anything from crackers and granola bars to mac n'cheese and nut burgers. 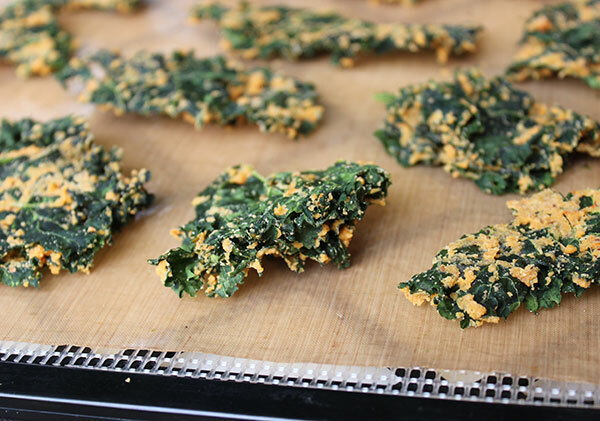 If you looking to replace the common commercial potato chip or corn chip variety, Excalibur dehydrators are a godsend for making all kinds of chip variations, including the popular kale chip or versions made from squash. The company initially began offering both basic and upgraded models in 4, 5, and 9 tray sizes for home use. 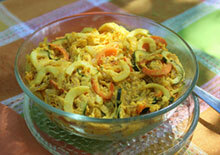 Now, they have expanded with many more options depending on one's personal needs and budget. While these machines are constructed using top quality food grade plastic, they now also provide stainless steel alternatives which are a better substitute for those concerned about potential plastic residues. Excalibur's are superior to other dehydrators in performance and durability which is important for those of us who tend to use this kitchen tool on a very frequent basis. All dehydrators are designed to remove water from food by a continuous circulation of thermostatically-controlled warm air. 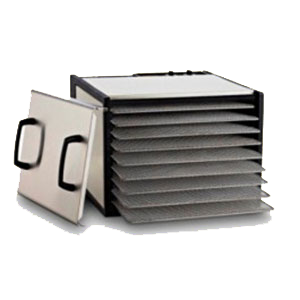 Excalibur models employ a patented "Excalibur Parallex Horizontal Air Flow" design. 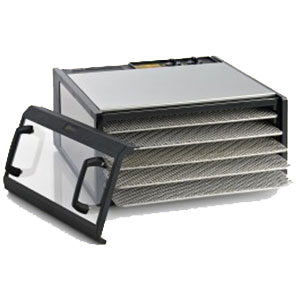 This essentially distributes the hot air evenly over each individual tray through a heavy duty heating element and fan located in the back of the unit, as opposed to on the top or bottom like other brands. This feature enables the efficient circulation of warm air, provides for optimal dehydrating temperatures and ensures faster drying times. In addition, many different types of foods, from sweet to savory, can be dehydrated together without imparting the flavors between trays, unlike other models with a vertical air flow design. 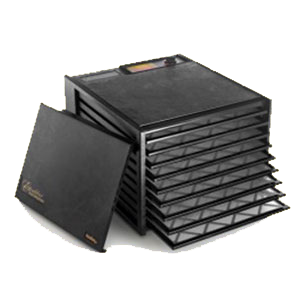 While the Excalibur models are available as trays as well as stackable variations, the primary ones used and endorsed on this page are the front loading "tray dehydrators." This featured tray layout is one of the primary reasons this brand is so much more popular for both domestic and professional use. These types have large square pull out trays that range in size between 12"x12" and 15"x15", depending on the model type. 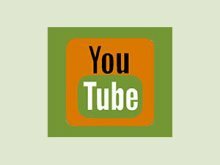 This provides you with a lot of room for spreading out foods and making a wide assortment of recipes, a technique that is much more appropriate for those not as interested in standard fruit and vegetable drying methods. These trays, as we mentioned, are accessible by taking off the front panel. 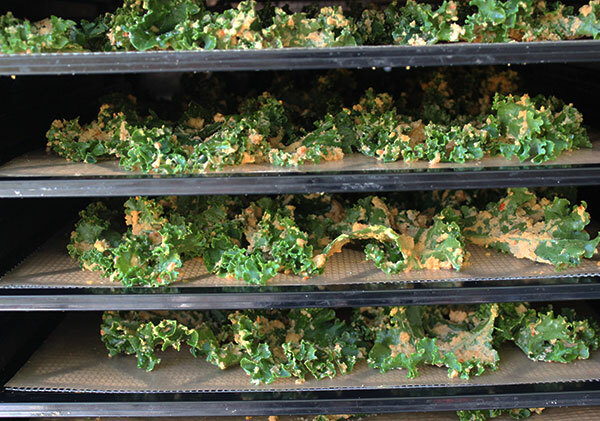 Any one tray can slide out for easy removal which is convenient when dehydrating different types of foods that require shorter or longer processing. The Excalibur comes in 4, 5, 9 and 10 tray sizes with larger models also available for commercial use. While the size of the Excalibur dehydrator might take up more counter space, it is well worth this potential inconvenience. For full-time regular use we highly recommend purchasing the 9 tray over the smaller selections. This size will not only allow you to efficiently make a large quantity of dehydrated breads, snacks and pizza crusts to have on hand for the week, but will also give you plenty of space between trays if you need more room for taller items or even when heating raw casseroles or marinated vegetable dishes that require more space between trays. 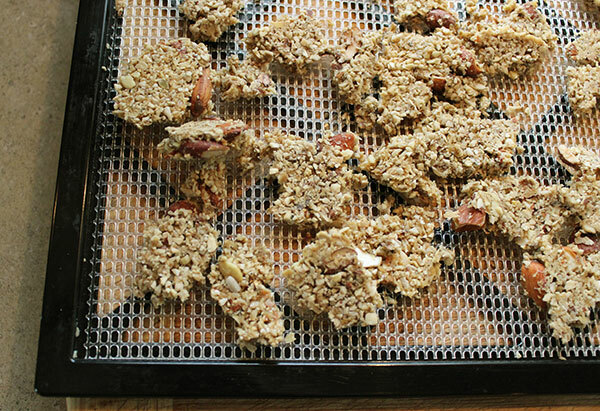 Although most food dehydrators come with removable screens, not all of them have non-stick sheets that give you more options for dehydrating wet foods. With each dehydrator model in the Excalibur line you will get an equal number of plastic or stainless steel trays with mesh screens. 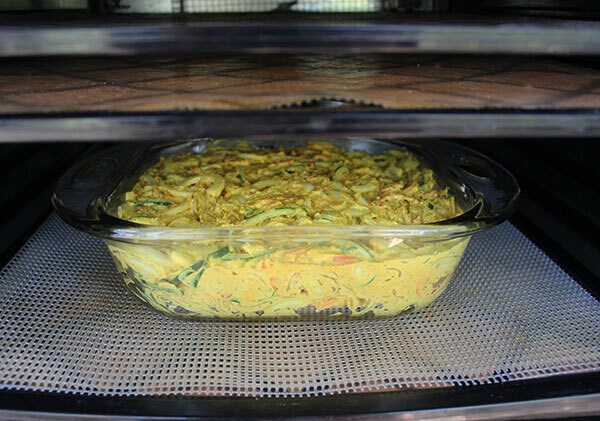 The screens are perfect for quickly dehydrating foods as the air flow circulates on top as well as underneath the food item. They are also beneficial for initially adding support when using non-stick sheets when heavier substances are used. 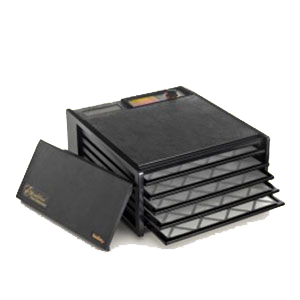 ParaFlexx™ non-stick sheets are a patented Excalibur dehydrator product, much like their former product referred to as "Teflex sheets." Paraflexx is a newer rendition of the Teflex that comes in three different varieties. They provide a non-stick flexible surface with which to lay sticky, wet or puréed foods that would normally drip through the mesh screens or stick to them. 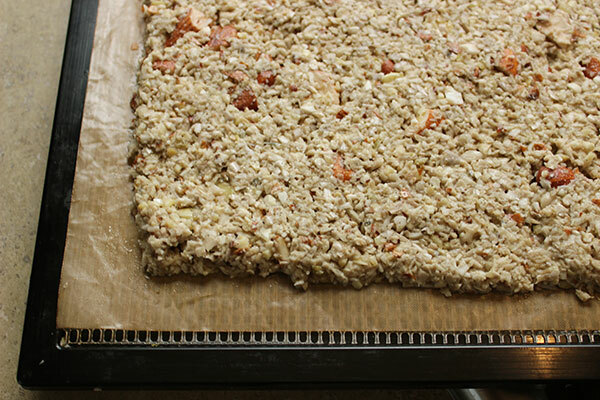 After a short drying time, these sheets can be turned upside down and "peeled" from the food item with ease. 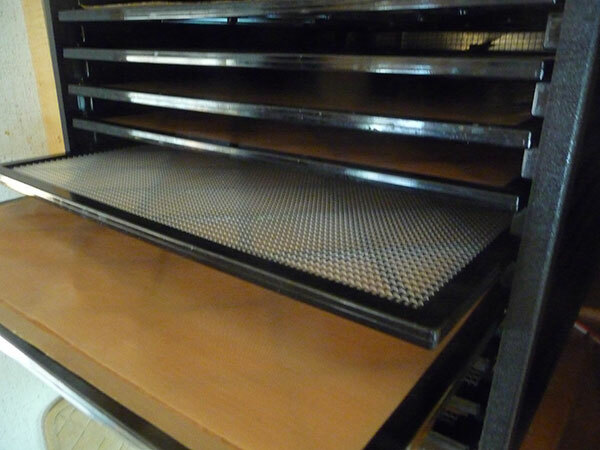 While mesh screens are included with every tray model, the sheets are commonly sold separately, but this can vary depending on where you purchase your dehydrator. Premium Non-Stick Drying Sheets - These are the standard and most popular reusable sheets. They have the Excalibur logo printed multiple times on the sheet surface, and are not as attractive as the silicone variety in our opinion. 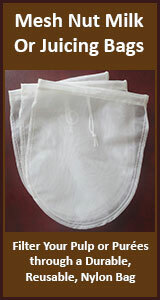 They are a Teflon coated fabric and are BPA and APFO free. Ultra Silicone Non Stick Drying Sheet - These sheets are coated with high grade silicone, instead of teflon, for good non-stick properties. They are reusable and easy to clean and have a smaller logo printed on one corner of the sheet, as opposed to multiple logos. Disposable Non Stick Drying Sheets - These sheets are sold in packs of 36 to 100 sheets and are for one time use only. They are made with quality parchment paper and are another option for easy clean up. Excalibur tray units are used extensively, and almost exclusively, in all raw and living food schools, institutes, raw food business' and restaurants for their high quality, lower temperature settings and ease of use. The only another tray model that we have found to be comparable to the Excalibur are the new dehydrators created by the company Tribest, who also make juicers like the Green Star. They are specifically advertised as "raw food dehydrators" and sure to become more popular in years to come. Excalibur's are one of the best dehydrators for those who desire minimal enzyme loss from the foods they dehydrate. According to the Excalibur website, original designs were in fact constructed with the help and influence of Dr. Ann Wigmore, living foods practitioner and initial founder of the Hippocrates Health Institute in Boston, Massachusetts. 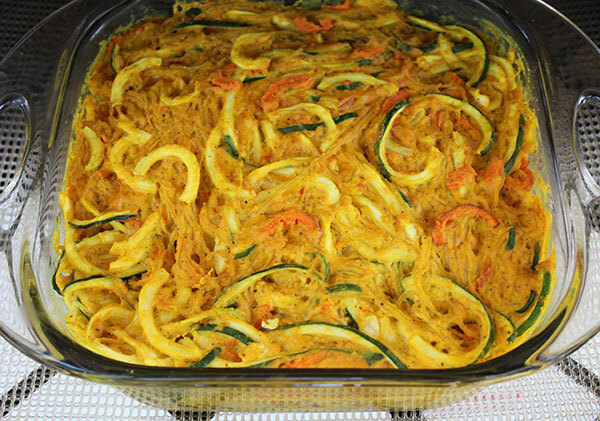 These appliances are therefore perfect for making, not only many of the standard raw food recipes like essene breads and sprouted crackers, but also are great for marinating and low-temp warming foods, allowing one to create modern day raw vegan alternatives to numerous cooked dishes such as pad thai, spaghetti, chili and nut meat substitutes. 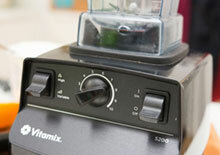 Together, using two of their patented technologies, called "Hyperwave Fluctuation Technology" and "Adjustable Hyperwave Thermostat", these dehydrators are made to keep the food temperature low enough to preserve enzyme content, yet high enough to dry foods quickly, eliminating the growth of unwanted molds. Enzymes are believed to be deactivated at about a temperature of 118°F (48°C). The thermostat control basically allows you to adjust the temperature to keep these enzyme levels intact, but also allows for higher temperatures of up to 165°F (74°C), depending on personal preferences. It is good to keep in mind that food temperatures can generally be about 10-20 degrees cooler than the circulating air around the food. According to Excalibur, the reason for this fluctuation is to provide the best dehydration process. "This air flow combined with our Adjustable Hyperwave Thermostat causes the air temperature to rise rapidly to a high point, so moisture is quickly evaporated off the food’s surface. As the temperature lowers, the dryer surface pulls moisture from the center of the food and becomes saturated again. Because of the up and down fluctuation of air temp and constant evaporation, the food temp remains at a lower temperature. After all the food moisture is evaporated, the food temperature will rise and equalize somewhere in the middle of the air temperature fluctuation." The adjustable thermostat dials on Excalibur tray dehydrators have a range between 105°F to 165°F (40-74°C) for low-end models and a range between 95°F to 165°F (35-74°C) for high-end units. The dial setting is the "food temperature" not the "air temperature." So, for example, if you set your dial at 105°F (40°C), you are attempting to hold the food temperature at 105°F (40°C), however the air flow around it may fluctuate between 115-125°F (46-51°C). 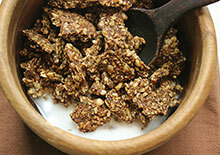 Some raw foodists, are known to use higher temperatures at the beginning of the dehydration time. This is too quickly dry the outside of the food. The temperature is then turned down after a few hours allowing the center portion to remain enzyme active. Food thermometers can be handy if you want to regulate food temperatures more accurately. Excalibur dehydrators come in varying sizes from 4, 5, 9 and 10 tray models for household use. Some have timers, are digitally controlled, include doors with or without handles, are made with stainless steel, have either plastic or stainless steel trays and are constructed out of lower or high quality food grade plastic. They currently (as of 2016) range in price between $129 and $499 with the exception of their deluxe 10-tray model priced at $999. 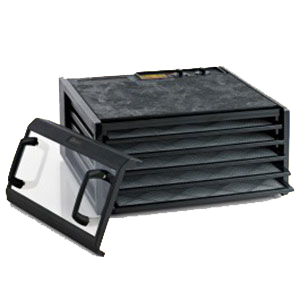 4-Tray Excalibur - One basic black model includes four trays with mesh screens. 5-Tray Excalibur - Comes in 11 different styles with different options for color, door covers, stainless steel options, timers, digital or manual controls. 9-Tray Excalibur - Comes in 12 different styles with different options for color, door covers, stainless steel options, timers, digital or manual controls. 10-Tray Excalibur - One deluxe model, made from stainless steel with steel trays, digital controls and transparent glass doors. 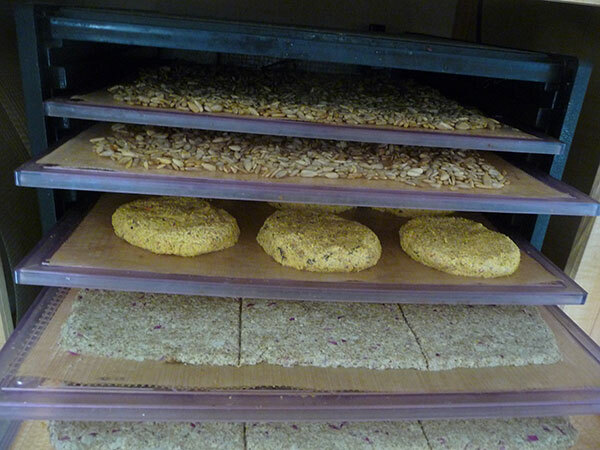 Excalibur dehydrators are fairly cheap to operate and don't require a high amount of electricity. These costs will of course vary depending on your local utility provider and how much they charge per kilowatt hour. Electrical use will roughly be between 3-6 cents per hour for 4, 5 and 9-tray units. One of the benefits to buying your Excalibur dehydrator directly from the Excalibur company is that you get a better deal on the warranty included. While other retailers may only include a 1 year warranty with proof of purchase, when you buy direct from the manufacturer this is usually extended to between a 5 and 10 year warranty depending on make and model purchased. This basically ensures the replacement or repair of any defective parts free of charge. These dehydrators, especially the more expensive models, are built to last, but occasionally we have experienced fans wearing out over a course many years with frequent use. For more information on their warranty services visit this page link on their website.